Thanks for today's post go to John L. Moore, author, freelance writer, and storyteller. Moore is also a member of the board of the Friends of Joseph Priestley House. His non-fiction Frontier Pennsylvania Series is available from Sunbury Press, Inc. The June program listings include author Charles Slack's program at Joseph Priestley House this Sunday (June 28) at 2 pm. 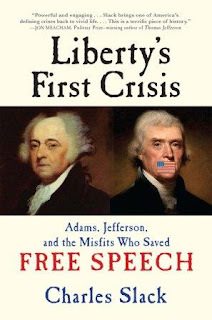 In his new book, Liberty's First Crisis, author Charles Slack chronicles the prosecution of newspaper editors who published articles critical of President John Adams. Among them was Thomas Cooper, editor of the Sunbury and Northumberland Gazette. Cooper was a close friend of Dr. Joseph Priestley and even lived in Priestley House following his release from prison in Philadelphia in late 1800. Slack visited Northumberland and Priestley House in 2012 while researching his subject. In 1798, President John Adams won passage of a number of federal laws known in U.S. history as The Alien and Sedition Acts. The laws spelled out stiff penalties for people who criticized the government. In addition to Cooper, others targeted by the Adams administration included Benjamin Franklin Bache, a grandson of Benjamin Franklin. Bache’s newspaper, the Philadelphia Aurora, frequently attacked President Adams. 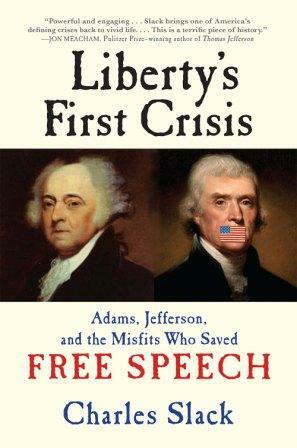 Slack will return to Priestley House this Sunday, June 28, at 2 pm to talk about Liberty's First Crisis. His other books include Noble Obsession: Charles Goodyear, Thomas Hancock, and the Race to Unlock the Greatest Industrial Secret of the Nineteenth Century and Hetty: The Genius and Madness of America’s First Female Tycoon (about financier Hetty Green, 1834-1916). The June program listings have lots of ideas for your weekend. If you're planning ahead to Independence Day, we have a list of which Trails of History sites will be open. While not ones to blow our own horns (at least not all the time), it's nice to highlight when others do it for us. In just the past month or so, a bunch of Trails of History sites have appeared on lists of great places to visit, or been recognized in "best of" polls in their regions, or received certificates of excellence for their ratings on TripAdvisor. That means happy customers and we're always proud of that. A sidebar in the Centre Daily Times last month that accompanied a story about museums in Pittburgh included the Pennsylvania Military Museum and the Erie Maritime Museum among "10 Great Museums in Pennsylvania"
Ephrata Cloister was on VisitLancaster.com's list of 10 Things You Must See and Do and Central Penn Business Journal's list of the top tourist attractions in the mid-state. The Baltimore Sun's list of the 100 best places to take the kids included our own Landis Valley Village & Farm Museum. On June 6, the staff, board, and volunteers of Drake Well Museum kicked off the summer season at Historic Pithole by hosting Wildcatter Day. 2015 is the 150th anniversary of the founding of the oil boomtown at Pithole, so there were a few extra activities, including a "cake" for French Kate (famous or infamous, depending on your point of view) to jump out of. (See the Spring 2015 and upcoming Fall 2015 issues of Pennsylvania Heritage for more information on Pithole.) The Men of Ivy (AKA The Animal 8) from Muskingum College were on hand to perform their hit "Pit-Hole City" from back in the day. Drake Well was also included in a new long-form ad by Toyota that does a nice job, in my opinion, of blending history (the birth of the oil industry) with science (using water from Oil Creek in the production of a hydrogen fuel cell). Science and tech education (STEM) integrated with the arts is now called STEAM, but I haven't seen a good acronym for when you add history. I'm open to suggestions. 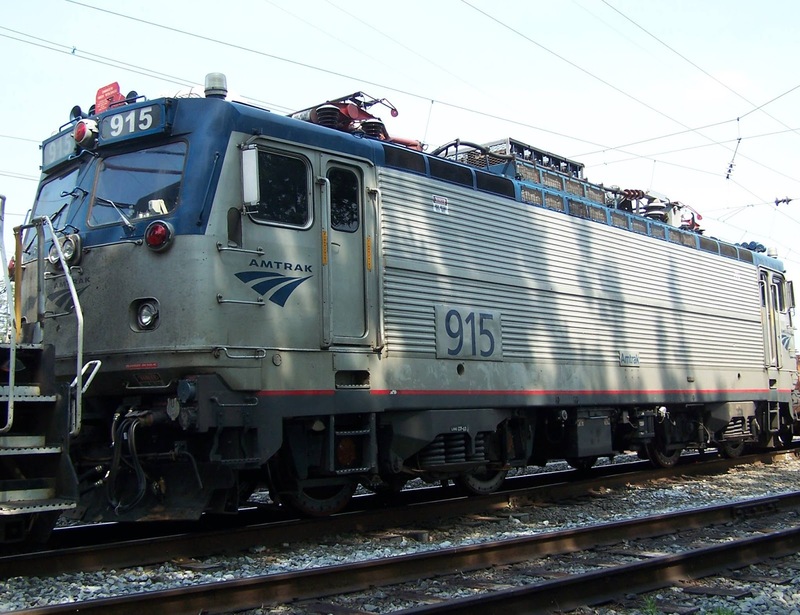 The Railroad Museum of Pennsylvania has announced the arrival of Amtrak AEM7 No. 915. This is officially the youngest locomotive in the train yard. As an Amtrak commuter these past five-and-a-half years, I've probably ridden behind and in front of this one, since they're designed to both pull and push passenger trains. (Learn more via RMP's website). A crew from the University of Maryland Anthropology Department is excavating near one of the slate pickers' houses at Eckley Miners' Village. After only two weeks they have recovered ceramics, shoes, and many other personal effects dating to Eckley's founding in the middle of the 19th century. You can follow the progress of the project (and see some really cool pictures) on the Lattimer Archaeology Project blog. For those of you looking for a nice summer getaway in a part of the state that is sometimes a little cooler, an article in the June 14 Wayne Independent outlines a great roadtrip on PA Route 6. In addition to other attractions, the article recommends visits to Drake Well Museum, the Pennsylvania Lumber Museum (and its new exhibit that I may have mentioned once or twice), the Anthracite Heritage Museum, and the Scranton Iron Furnaces. How could you go wrong? Looking for something to do this weekend? The June program listings have it all. 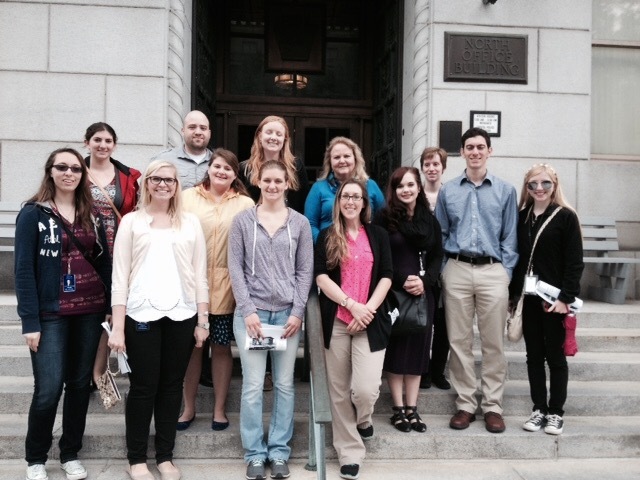 This week we present guest blogger Corine Lehigh, a PHMC Keystone intern working in the PA State Archives. Corine recently earned a BA in American Studies from Southern New Hampshire University. In this post, she shares info and images from a walking tour of Harrisburg (her list of additional resources on Harrisburg history can be found on a separate page). Thanks, Corine. 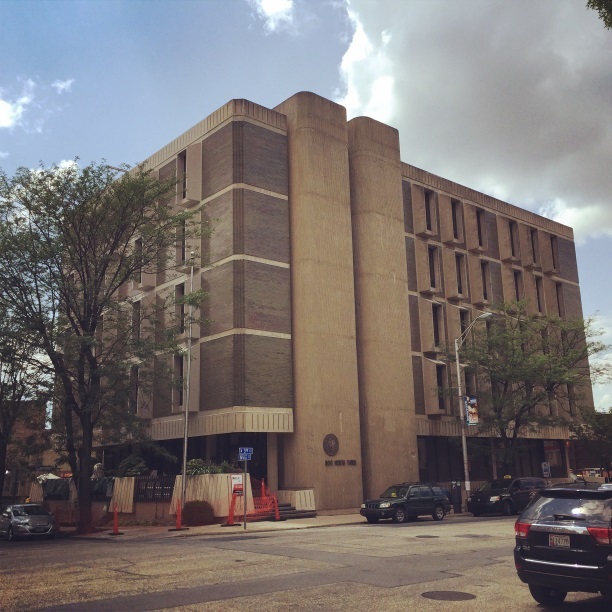 Being an intern for the Pennsylvania Historical and Museum Commission (PHMC) isn’t all getting coffee and donuts for staffers. In fact - it’s none of that! Being an intern at PHMC is working for people who really want to see you succeed. Everyone is incredibly helpful and open to any questions you might have. The other great thing is all of the events they have planned for us. So far this summer we have toured 4 of the 5 Bureaus of the PHMC: the State Museum, State Archives, Bureau for Historic Preservation, and Historic Sites and Museums. Everywhere we go along the way we meet people who are excited about history, and most started just like us, as interns. One of these great people we have met is Pam Reilly from the Bureau for Historic Preservation. On Wednesday June 3rd, Pam took 13 of the summer interns on a walking tour of the Harrisburg Capitol Complex and revitalized Midtown area. Pam is a native of Harrisburg and a fountain of fun facts and knowledge about the area. Pam started our tour outside The State Museum and gave us a brief overview of the changing façade of Harrisburg over the years, including buildings that may not be in fashion architecturally (and are quite dated looking) but still hold historic meaning. You can look down any street in the downtown and midtown area and see evidence of how much Harrisburg has changed over the years. Newer buildings are next to older buildings. 1970s buildings (like the one below, across the street from the Archives) are smack dab next to buildings that date to the late 1800s. Pam pointed out to us that like all cities, Harrisburg changes its face every few decades to keep up with demand and new architectural styles. We moved on to the steps of the Capitol Building, which Pam explained was the third capitol built in this place. Devastating fires contributed to the changing façade of the Capitol Complex. Very few of the original buildings remain from the 1821 construction. The early buildings can be identified by their shorter proportions and simplistic design indicative of the Federal period. The city’s period of greatest development was in the late 19th and early 20th century. Contractors and architects worked to seamlessly combine the new and the old. The result is a beautiful mix of Federal-style buildings from multiple decades throughout Harrisburg’s history. Another interesting stop on our tour was the Forum Building. Alexis Henry, Archives intern, mentioned that she has been seeing operettas at the Forum since she was in grade school. I have attended Third in the Burg activities there, including a celebration of Women’s History Month. The Forum is a beautiful round building located to the south of the Capitol on Walnut Street. All of the exterior doors have metalwork depicting various cultures throughout history and artistic human hands jut out of the side of the building holding torches for lighting. The metal figures range from Egyptians to carpenters to farmers. The inside of the Forum is also worth a look. The large round auditorium has the most beautiful ceiling. 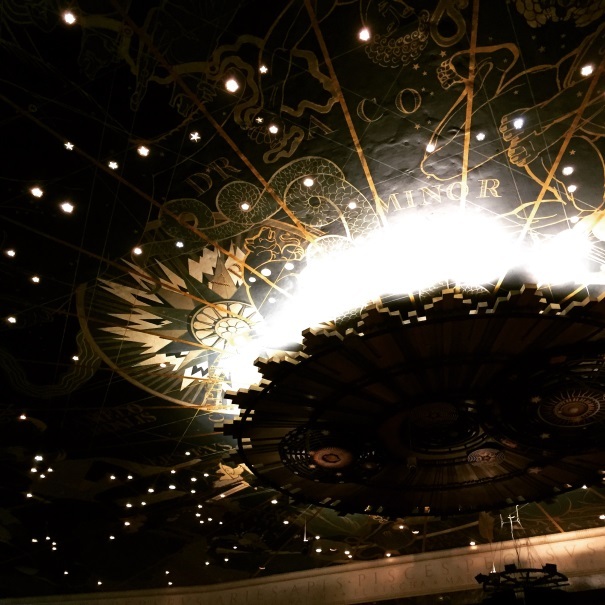 Recessed lighting depicts the constellations and a large golden sun in the center of it all. I could have stood gazing at the ceiling for hours, but alas our tour had to move on. As we exited the Forum Elizabeth Sein, who is working on the Distinguished Daughters of Pennsylvania Collection at the Archives, noticed an interesting sign, which I thought I would share just so everyone knows if they plan a trip to the Forum: Balloons are not allowed! Near the corner of Walnut Street and 7th Street you can see the trains go underneath the State Street Bridge. By the mid-19th century, the Pennsylvania Mainline Canal connecting Philadelphia and Pittsburgh had brought both economic and population growth to Harrisburg. In 1850, the city population numbered 7800, but it nearly doubled, reaching 13,400, within the next ten years. Warehouses and businesses sprang up along the canal to handle the freight brought in by its boats. I could go on and on about the canals in Pennsylvania, as I find internal improvements absolutely fascinating – but that’s a story for another day. It’s worth a glance as you go over the State Street Bridge to remember that Harrisburg grew rapidly during the late 19th and early 20th century because it was a transportation hub. Trains are still a frequent sight here, but commercial activity used to be a lot busier. When you view a city through a transportation lens a lot of things can come out of the woodwork. We left the Forum and moved around the back of the Capitol to the site of the old Eighth Ward of Harrisburg. The Eighth Ward abutted the Pennsylvania Canal; gambling dens, brothels, saloons, and inns sprang up to provide "services" to the men working on the canal boats. The Eighth Ward’s notorious reputation grew. During the Civil War, Union soldiers stopping at nearby Camp Curtin on their way north or south found lively entertainment in what became known as the "Bloody Eighth." 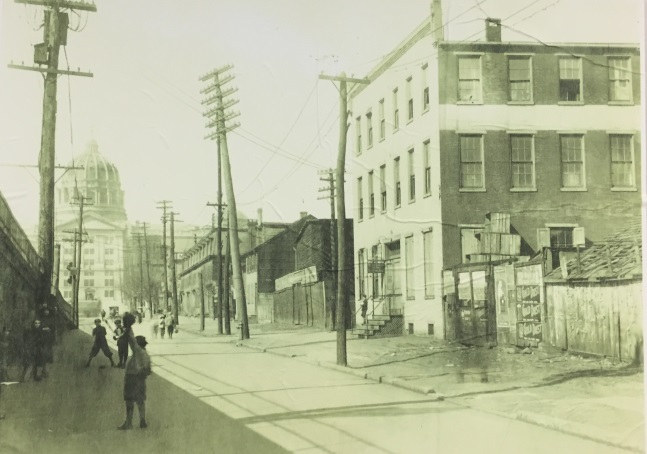 When the Capitol building burned down in February of 1897, some began to lobby state government to rebuild it in Philadelphia, stating that Harrisburg lacked the refinement a capital city should have. A major part of the problem was the proximity of the Eighth Ward to the Capitol. Throughout the following years the Eighth Ward calmed down greatly from its heyday, but the reputation stuck. 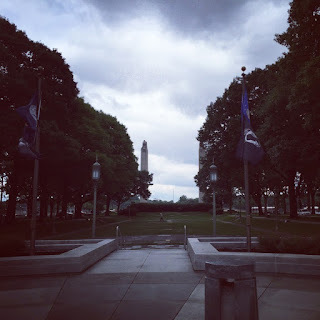 [Note (7/7/15): an editing error in the following sentence has been corrected] By 1925 the city had leveled the Eighth Ward to expand the Capitol Complex, adding office buildings and green space. 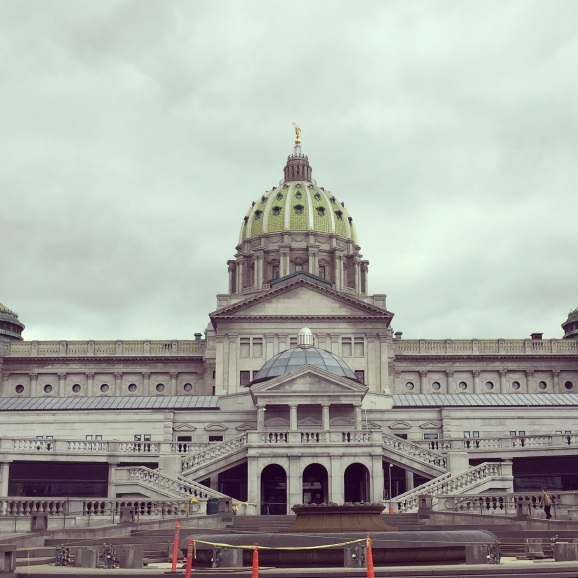 Once again, demand changed the face of Harrisburg. It's not official yet, of course, but once the temps get into the 80s, it's summer to me. Time to start complaining about heat and humidity! With the school year just about to end in most places (depending on your snow day situation), I'm a little behind on highlighting summer camp opportunities on the Trails of History. Some are already fully booked, but there are still plenty of chances for parents and caregivers to get a little break sign their young folk up for fun and learning. This list is not an exhaustive list of programming on the Trails this summer; watch for the monthly program listings for the full calendar (June listing is here). A colleague recently shared a note from a reenactor. The reenactor is also a history instructor at a major university and chalks that up, at least in part, to educational programs and museum visits at the PA Military Museum during his grade school years. "When considering my own story, I strongly encourage educators to work their way through the red tape and finances of arranging field trips for their pupils. The hassle is worth the end benefits. The power of place evokes meaning and connection to young people in dramatic ways. At least it did for me." School field trips are getting fewer and farther between, at least in some districts, but summer history camps and other programs are great ways to nurture a love of history, keep kids active, foster a little (well-supervised) independence, and fight the dreaded "summer learning loss." So, let's get out there! 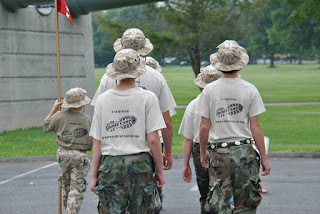 Anthracite Heritage Museum, Children's Summer Camp, July 14-17 (photos from past years). For ages 7-12. Fee charged. Call the museum at 570/963-4804 for more information. Drake Well Museum, "It's All About Oil" Camp, July 13-17 - for children entering grades 4-6. Hands on activities teach about life on an oil lease. More info here. 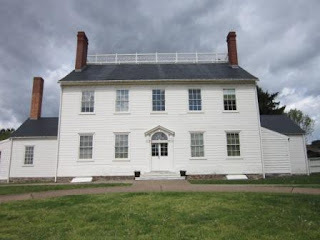 Ephrata Cloister is also part of this summer's GoEphrata letterboxing initiative sponsored by Ephrata Public Library and Wellspan Health. Wooden posts with metal "autographs" have been set up around the area (including two at Ephrata Cloister) to encourage families to get outside and explore this summer. Booklets and sheets for making rubbings of the autographs can be picked up at the library or downloaded from GoEphrata.org. Prizes are awarded for participation; the program kicked off on May 30 and is gaining popularity very quickly. 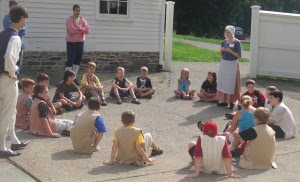 Joseph Priestley House, History Camp, July 22-24 - for children in grades 1-6. This year's theme is "Priestley House Childhood Memories." (More info here). Space is limited; enroll by July 20. 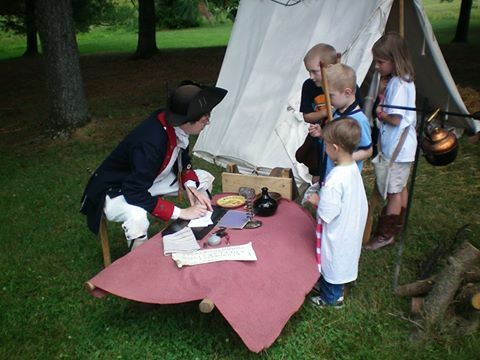 Old Economy Village, Happy Ways of Olden Days (Learning 19th-century Life through a Child's Eyes), July 20-24 or July 27-31 - for ages 6-12. Hands-on activities, art projects, music, and more. (Registration form and info.) Members receive a discount. Registration deadline is July 1. PA Military Museum, Boot Camp for Kids, August 1 - for boys and girls ages 8 to 13 and taught by military veterans (photos from last year). Registration is required by July 24 (form and info); museum members receive a discount. The State Museum of Pennsylvania, Our Solar System Summer Day Camp, 3 sessions - July 7, 14, or 21. For ages 9-12. Explore the Earth's solar system through hands-on activities and planetarium visits. Pick the day that suits your schedule. (More info.) Members receive a discount.